What’s the holidays without a little home baking, festive decor and scent to add some merry to the season? 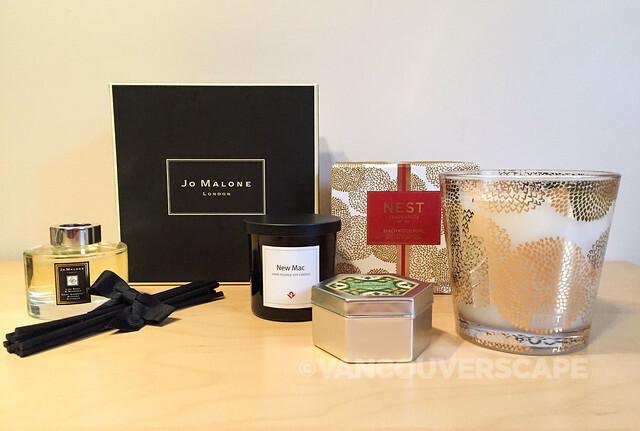 We did a little digging here at Vancouverscape to find a range of scented products that should help tick a few gifts off your shopping list. If your dream scent includes basil, mandarin and thyme, this is your diffuser. Lime Basil and Mandarin is one of Jo Malone London’s signature scents and this beautifully-packed diffuser comes with a set of black reeds that last for five to six months. The more reeds placed into the essential oil, the stronger the fragrance. We used four of the 10 included reeds to start (it takes about 24 to 36 hours for them to completely soak in the oil and emit the fragrance). I own a bottle of Lime Basil & Mandarin eau de toilette and have grown fond of its light, citrusy scent that’s balanced with a slightly earthy/sweet aroma of basil. 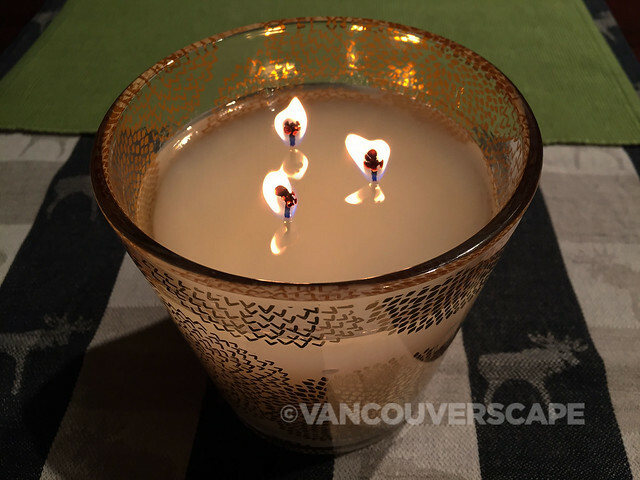 This gorgeous candle comes in a festive, reusable gold-patterned glass container, boxed in a beautiful red, white and gold textured package ready for gifting. Whether or not you’re planning on buying the new MacBook Pro or gifting an i-something to your loved one, Twelve South has added a cheeky Mac-lover’s essential to their collection of well-designed, aesthetically-pleasing Apple accessory lineup: the New Mac Candle!